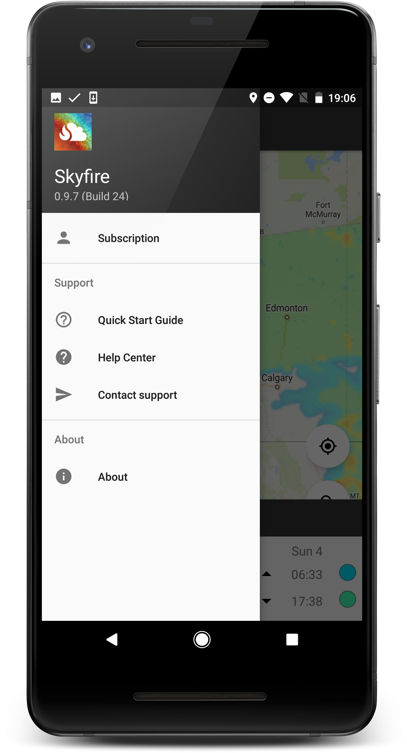 Skyfire for Android is available via a dedicated app, free to download on Google Play. Subscribe within the app and enjoy a free trial. Quarterly and Annual subscription options are available. 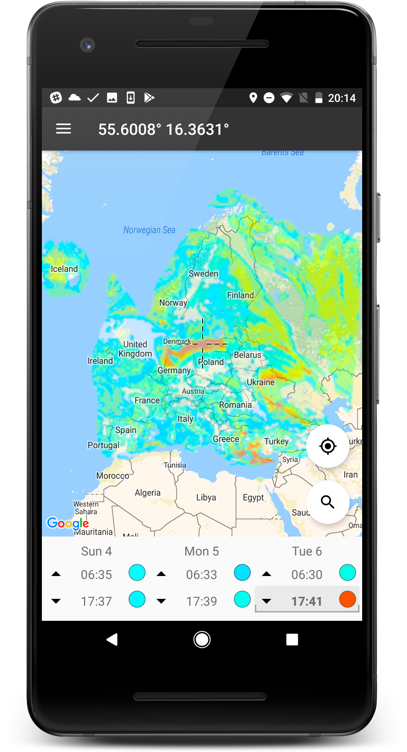 Using multiple weather models, Skyﬁre applies complex algorithms to generate forecasts of where the best light and color will develop in the coming days. This information is shown as an overlay on top of a map. 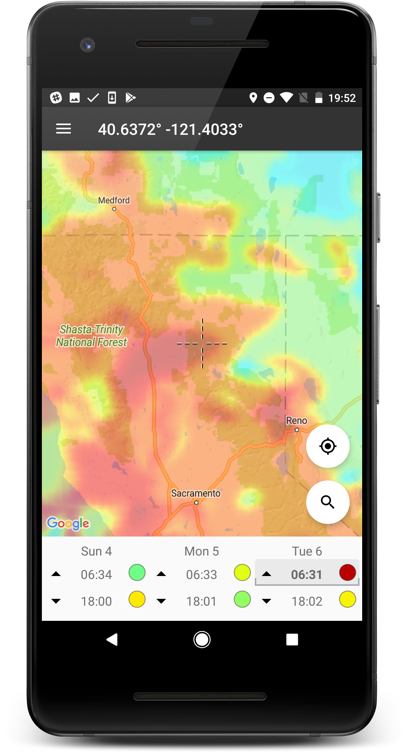 The intensity of the color of the overlay coincides with the likelihood of there being a colorful sky at that position around sunrise or sunset. 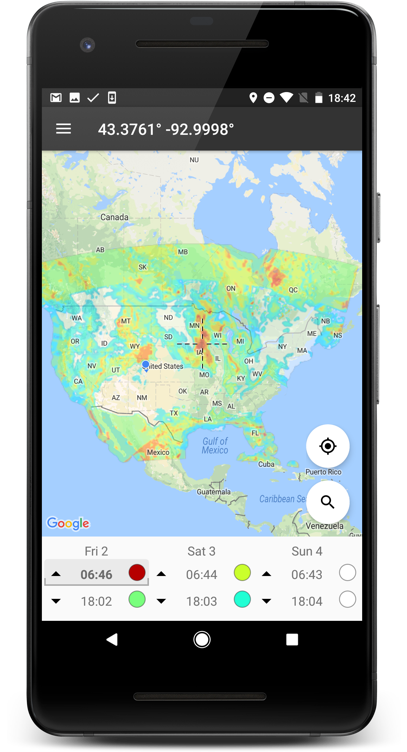 Skyfire for Android shows the times of sunrise and sunset for three days. The forecast grid shows predicted color for the location under the map reticle (cross-hairs). Tap on the grid to see the full corresponding forecast. You can relocate the map to your current location or search by place name.